Brooklyn Basin, a $1.5 billion waterfront condominium project now being built near downtown Oakland, may be a great deal for developers but not so good for local construction workers, taxpayers or local companies that want to do business with the city. Historically, a major issue facing Oakland’s flatland communities has been whether private developer projects built on city-owned land will yield jobs for local residents. Especially questionable is whether African American residents will acquire any of the well-paying construction jobs that are generally funneled to non-Oakland residents. 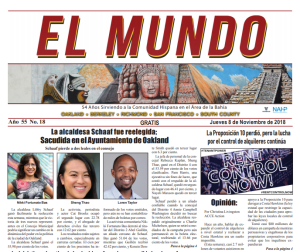 Most recently, Oaklanders waged a hard-fought battle to obtain a promise from the city for 50 percent local hire at the Oakland Army Base development. But the city council set the Brooklyn Basin project’s local jobs requirement low at 6 percent of the project hours, and only for entry-level apprentices who live in Oakland. 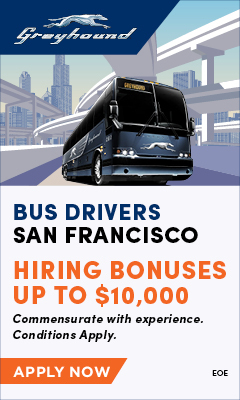 The project has no requirement to hire locally for higher-paying journeyman jobs, including truck drivers or heavy equipment operators. According to a city report, local entry-level apprentices as of Feb. 24 worked a total of 1,031 hours (or 4.95 percent) of the 20,762 hours worked on the project. 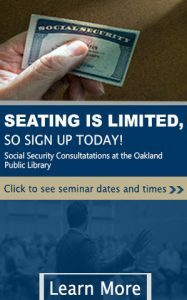 Most telling are the wages that Oakland residents have received – $22,817.17 (or 1.84 percent) of the total $1,239,617.64 that was paid to the project’s workers. Oaklanders have also been raising concerns about whether city staff and the council are transparent in their dealings with big developers in real estate deals that involve public property. At present, the city has picked the developer for the 465 units of proposed affordable housing at the Brooklyn Basin – MidPen Housing Corporation – with no concern about whether local-, minority- or women-owned businesses had an opportunity to bid on the project. A number of people are complaining that the city is currently violating a promise that was implied when the city’s Department of Race & Equity was unanimously voted into existence by the City Council. According to the City Administrator, the Brooklyn Basin’s development agreement with Michael Ghielmetti and his Signature Housing Group provides that the developer is responsible for proposing the affordable housing developer. The city reviewed the developer’s affordable housing proposal for MidPen and decided to go with it, according to Karen Boyd, spokesperson for the City Administrator. The city had no answers to the Post’s questions about the racial composition of MidPen’s workforce, making it questionable whether racial equity was relevant to its decision on awarding a contract. “The city does not have access to the personnel records of MidPen Housing’s staffing information,” said Boyd in response to the Post’s question. “While the city’s real estate laws generally require a competitive process in order to dispose of city real estate property, the City Council can waive that requirement if it’s in the best interests of the city,” said Boyd. “The fact that the development agreement requiresa process that places the responsibility to select the affordable housing developer on the Brooklyn Basin developer would be sufficient to waive the competitive process when the project goes to council for approval,” she said. Last week, the Post reported on the lack of an affordable housing pledge from the Brooklyn Basin developer, making another issue for taxpayers whether the city is generating all the potential income from the project that could have been used for expanded city services and affordable housing. The developer paid the city $18 million for 64 acres and agreed to perform the toxic clean up of the site. The city then bought back 4.5 acres of the parcel adjacent to the freeway and opposite the waterfront for affordable housing and paid $22.5 million –following a 2014 appraisal. If the entire 64 acres were appraised at the same amount as the 4.5 acres the city bought, the selling price for the entire property would have been worth at least $320 million – about $302 million more than the developer originally paid for the property. Based on the city council’s 2006 deal with Signature Housing Group, the city is hoping to come up with $225 million to build 465 units of the only affordable housing that would be in the 3,100-unit development. 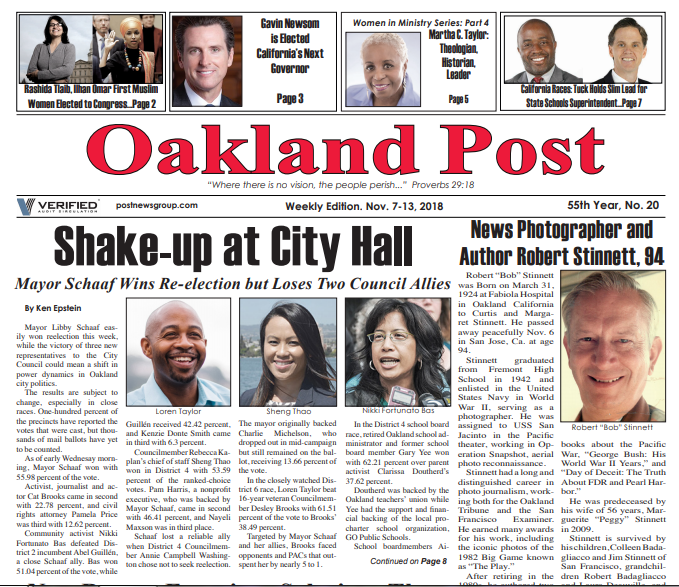 The Oakland Post mistakenly reported last week that Mayor Libby Schaaf was on the city council in 2006 when the project was originally approved. Yet, she has been involved in the deal since she was a city councilmember in 2010 and as mayor in 2014. Before serving on the council, Schaaf worked as chief of staff for City Council President Ignacio de la Fuente and as a top aide for Mayor Jerry Brown.